Without Lipstick, your makeup looks incomplete. Applying lipstick perfectly is a challenge for every girl. When you go for a day out, it’s a big problem to make your lipstick last longer. But by using few steps you can carry it all day long. If you have dry lips Firstly you need to peel your lips take gentle exfoliator and remove flaky patches on your lips then apply a moisturizer. Then apply lipstick on your lips. Lip liner has a waxier formula. It makes a boundary that keeps the lipstick flawless. 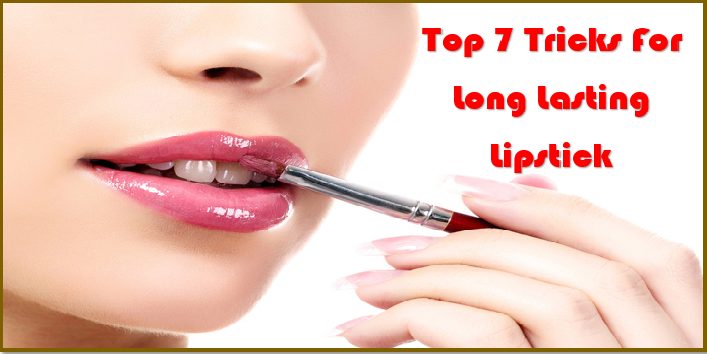 By using this step, you can make your lipstick last longer. Just apply lip liner first, then fill it with your lip color, it will provide you flawless lipstick all day long. When you start doing makeup on your face, you use primer because it provides you a smoother surface for your makeup. Just like face, your lips also need a primer. When you use a primer, it gives you a smoother surface which can help you make your lipstick last longer. Just apply a single coat, then take a blotting paper or a tissue and tuck it between your lips and apply light pressure for few seconds. It soaks up the extra oil from your lips. Then apply another coat, it will make your lipstick last longer. 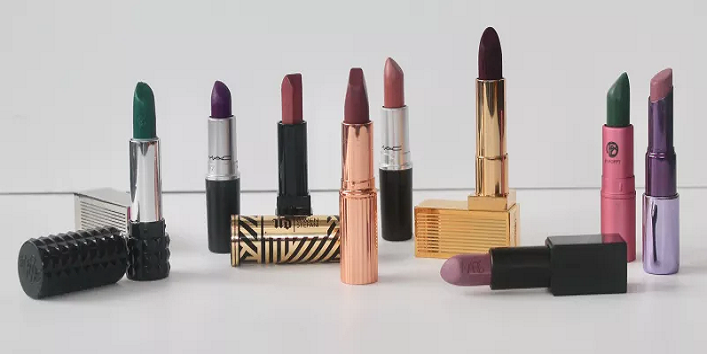 Go for matte and waterproof lipstick and avoid creamier products because they fade away easily. For the perfect look, apply your lipstick by using a brush. Instead of applying lipstick in one direction, swipe the brush and start applying by one corner to the center of lips, it will help you make your lipstick last longer. If your lipstick gets feathering and bleeding out of your lips, just take a simple step to stop it. You need to take a clear brow gel or concealer pen and apply it around the lips, by making a line using brow gel can make your lipstick last longer.